Galveston’s only downtown hotel - The Tremont House, a Wyndham® Grand Hotel, will kick off the summer on its Rooftop Bar with a new atmosphere and weekday happy hour from 4:30 to 10 p.m. Monday through Friday. In addition to its daily happy hour, guests can enjoy live acoustic music and a small bite menu every Thursday from 6 p.m. - 9 p.m. as part of a weekly Party on The Rooftop. The bar is also open from 11 a.m. – 10 p.m. Saturday and Sunday when not in use for private functions. On Thursday through Saturday, the rooftop will feature a happy hour menu. The Rooftop features organic spirits and wine as well as regular top shelf favorites. During the summer, the bar will have special promotion nights featuring small batch whiskey and scotch flights. The Tremont House is Galveston’s only hotel that offers an open air rooftop bar. 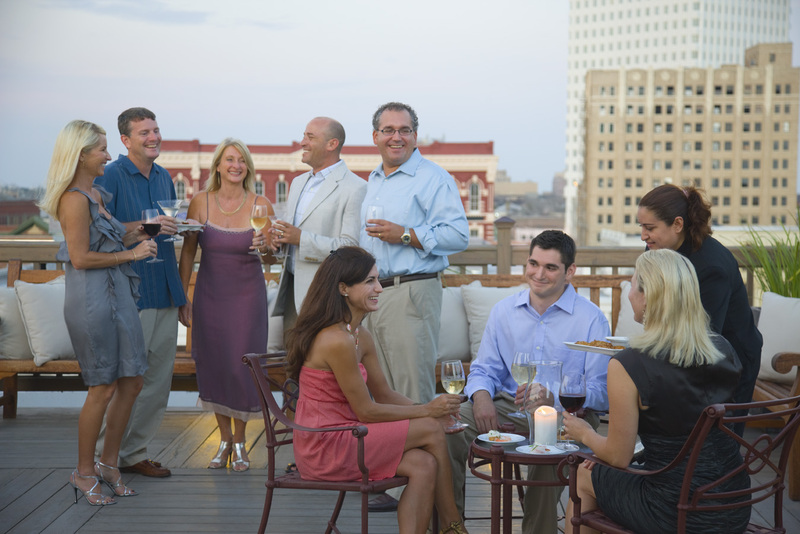 The Rooftop Bar features organic spirits and wine as well as regular top shelf favorites. During the summer, the Rooftop will occasionally host special promotions featuring small batch whiskey and scotch flights. The Tremont House, a Wyndham® Grand Hotel and National Trust Historic Hotel of America, is owned by the George Mitchell family and part of Mitchell Historic Properties. For information, call (409) 763-0300, (800) WYNDHAM, or visit www.WyndhamTremontHouse.com. Wyndham Hotels and Resorts, LLC and its affiliates, subsidiaries of Wyndham Worldwide Corporation (NYSE: WYN), offer upscale hotel and resort accommodations throughout the United States, Europe, Canada, Mexico, China and the Caribbean. All Wyndham hotels are either franchised or managed by the company or managed through a joint-venture partner.